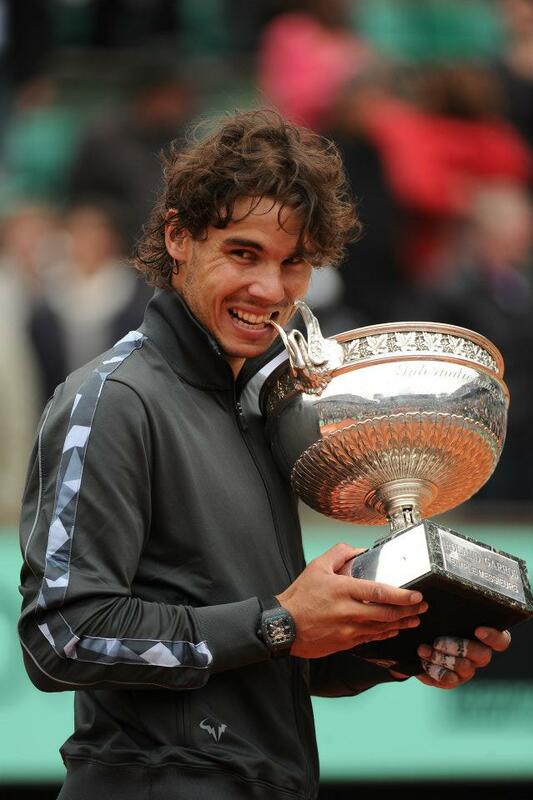 A $500,000 Richard Mille Tourbillon watch was stolen from Rafael Nadal's hotel room in Paris. According to French newspaper "Le Parisien", this is the watch Nadal was wearing yesterday during the award cerimony at Roland Garros, and has been using during the tournament. The watch was a gift from his sponsor Richard Mille for the French Open. It may be worth around 300,000 to 500,000 euros, just about the same amount as in dollars. The timepiece is model RM 027, weighing in at a mere 20 grams. "Le Parisien" says that Nadal noticed the timepiece was gone and reported the theft to the local police this Tuesday. Family and everyone close to the player have been giving statements to French Police, which is investigating the case. Nadal's hotel for the French Open is located in the VIIIe neighborhood in Paris. In 2010, another Richard Mille watch was stolen from Nadal's locker room in the Masters 1000 in Toronto, Canada. The timepiece, just like the one missing today, was worth around half a million dollars.